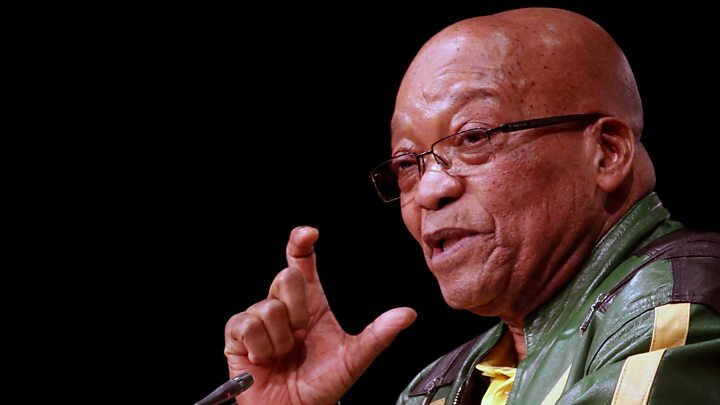 Jacob Zuma has resigned as president of South Africa after facing pressure from his own party to do so. His presidency covered more than a third of South Africa's time after apartheid, but it was dogged by scandal. So what led to him quitting? Here's a timeline of the key events. 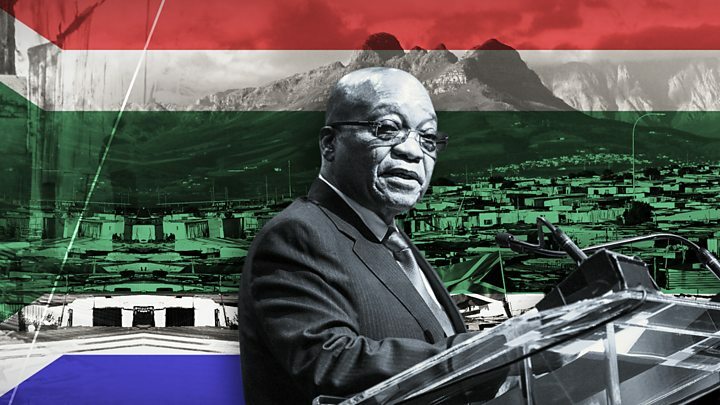 At this point, Mr Zuma had been a popular and charismatic deputy president of South Africa for six years - but he lost his job after being implicated in a corruption trial. In 1997, he became the deputy president of the ruling ANC, and was then named as South Africa's deputy president in 1999. Mr Zuma's financial adviser, Schabir Shaik, went on to be found guilty of corruption and fraud. Mr Zuma's race for the presidency was in its last stretch when prosecutors dropped the charges against him over the arms deal. South Africa's chief prosecutor said phone-tap evidence suggested the 2007 charges had been politically motivated. The main opposition called it an "abuse" of the prosecutor's role. However Mr Zuma, by then the president of the ANC, went on to win the presidency of the country two weeks later. South Africa's highest court ruled that Mr Zuma had violated the constitution when he failed to repay government money spent on his private home. An anti-corruption body found he had spent $23m (£15m) on his rural home in Nkandla in the KwaZulu-Natal province, adding a swimming pool and amphitheatre. He later repaid the money. Not for the first time, he faced calls to stand down. Not for the last time, he didn't. 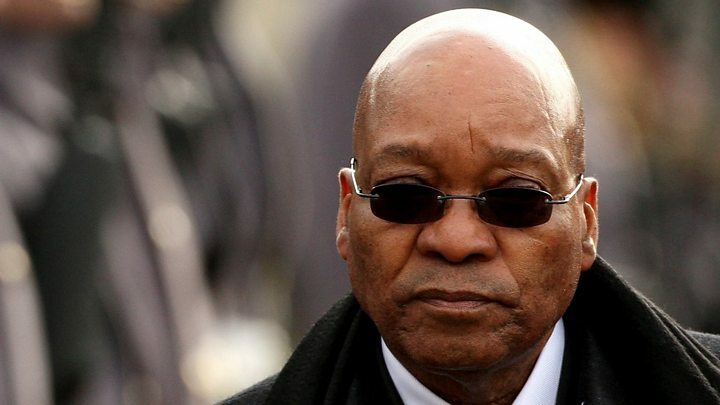 South Africa's Supreme Court of Appeal ruled that Mr Zuma must face 18 charges of corruption, fraud, racketeering and money laundering relating to the 1999 arms deal. On 16 March 2018 he found himself facing prosecution on 16 of the 18 corruption charges - for 783 instances of alleged wrongdoing. Jacob Zuma - a born survivor? The inquiry was one of the recommendations made by the country's anti-corruption watchdog to curb state influence-peddling, which the president had tried to challenge. Judge Dunstan Mlambo described Mr Zuma's attempt to challenge the rulings as "ill-advised" and an abuse of the judicial process. 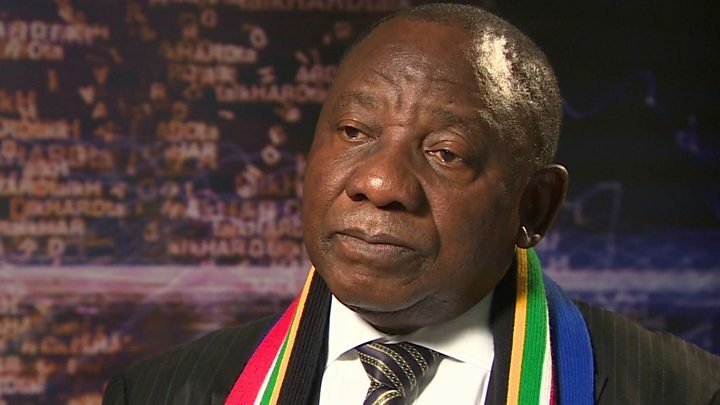 Media captionWho is Cyril Ramaphosa? 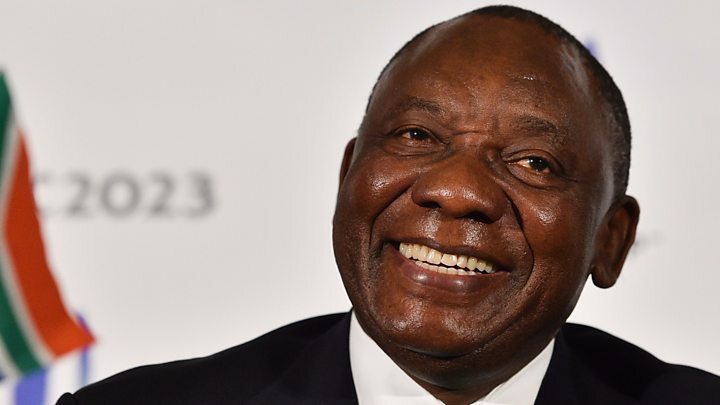 In the race to succeed Mr Zuma after 10 years as head of the ANC, Cyril Ramaphosa - South Africa's deputy president - came out on top. He took over the party at a time it was losing popular support under Mr Zuma. On Tuesday, the ANC told Mr Zuma to step down or face a vote of no-confidence. Then, on Wednesday, he said in a televised statement he said he was quitting with immediate effect but that he disagreed with the party's decision. "No life should be lost in my name and also the ANC should never be divided in my name," he said.